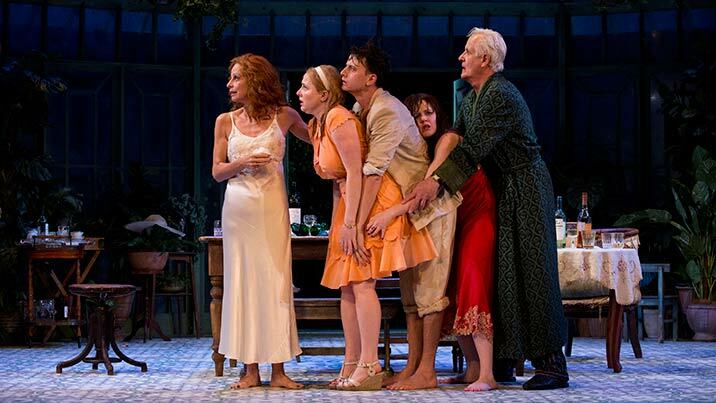 Noël Coward's wonderfully witty, deliciously snarky classic about the most eccentric family around. The Bliss family love intrigue, love arguing and really love a spotlight. They are everything a respectable family ought not to be – unconventional, uncensored and unapologetic. When each of the four outrageously eccentric Bliss family members invites a guest to their rural retreat, the unassuming visitors face a hectic living melodrama from which there seems to be no escape. Deliciously funny comedies were Noël Coward’s forte. 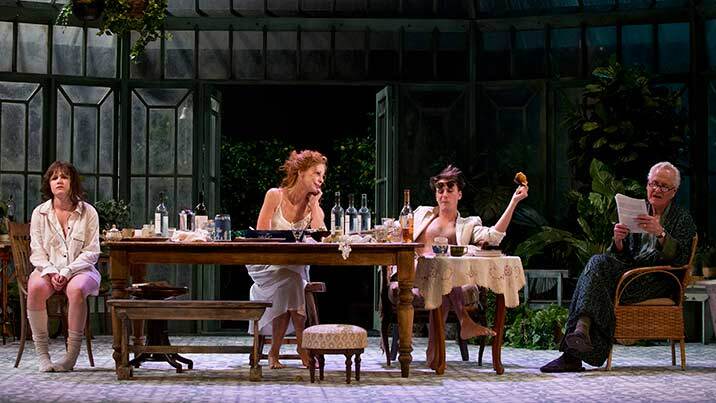 Hay Fever is a “wonderfully witty and deliciously snarky” (Time Out) classic full of secret seductions, misjudged meetings and wicked revelations. 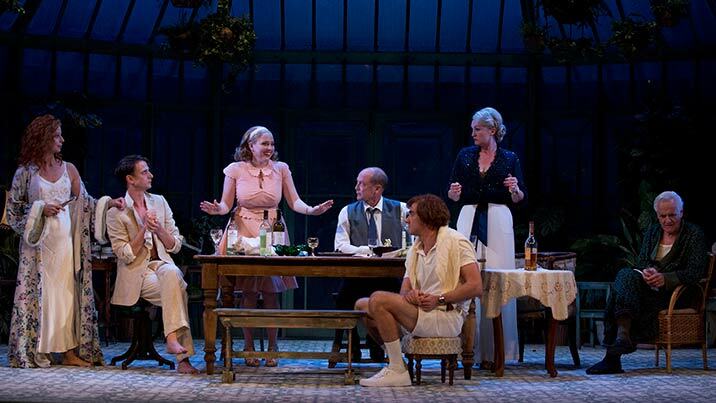 An exceptional cast led by Heather Mitchell as Judith Bliss, the prima donna to end all prima donnas, includes Harriet Dyer (Travelling North), Tony Llewellyn-Jones (Amigos), Josh McConville (After Dinner) and Helen Thomson (King Lear). Having had us in hysterics with After Dinner in 2015, director Imara Savage and designer Alicia Clements reunite to give us a country weekend like no other. 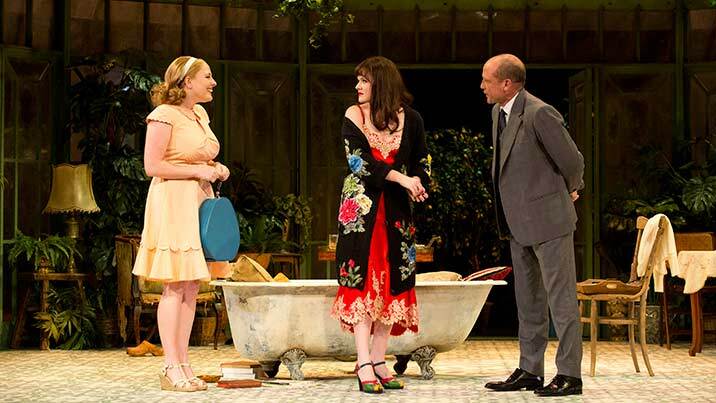 Hay Fever promises to be a thoroughly enjoyable and seductively comic affair. Warning Contains use of theatrical haze. Herbal cigarettes are smoked in both acts of this production. *Please note that Standing Room ticketholders are required to stand for the duration of the performance, seating will not be provided. Read the full cast and creatives bios, and lots of other interesting content in our programs, which are available at the venue for $10.